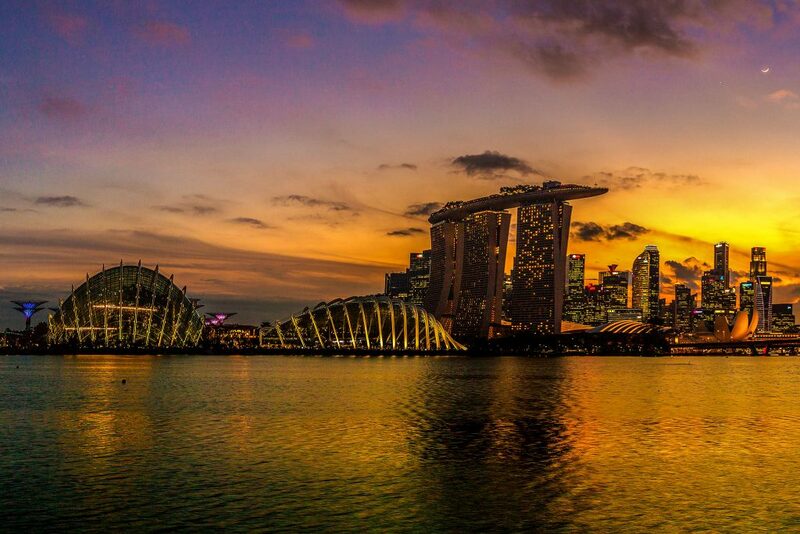 There is so much to see and do in Singapore, that you will be spoiled for choice! This is our overview of the unmissable sights. We have listed them by area to make it easier for you to plan. The big question is: where will you go first? Singapore’s newest neighbourhood is a vast development spanning some 360 hectares of reclaimed land, which has been transformed into a futuristic landscape of stunning architectural icons. Its magnificent skyline includes many of the city’s most recognisable landmarks, which must be included in any visit to Singapore. This breath-taking, three-pronged architectural wonder is one of the city’s, and indeed the world’s greatest architectural achievements. It is not only an integral part of this extraordinary skyline, but is also one of the best places from which to view the city. Whether you choose to visit the rooftop Marina Bay Sands SkyPark, dine at the swanky Sky@57 restaurant or CE LA VI Skybar or stay at the hotel and take a dip in the largest rooftop infinity pool in the world, you can be sure of enjoying superlative views. An evening promenade along the waterfront is the best way to discover the many attractions of the area. From 8pm you can survey the award-winning light show, with fluorescent lasers projected from the top of the Marina Bay Sands Resort and the adjacent Art Science Museum, across the water, creating spectacular lighting effects. The Merlion Park is home to the eponymous Merlion – a magnificent 70-tonne, concrete beast; half lion, half fish, its mouth spouting water into the sea. This mythical creature, with its scaly fish-body and formidable lion’s head combines two of the most significant elements of Singapore’s identity – ‘Singapura’, the Lion City, which was founded on the site of ancient fishing villages. This iconic location is the perfect spot for a selfie! Even Singapore’s shopping malls are spectacular! There is nothing ordinary about Suntec City, one of the city’s largest malls. At its centre is the world’s largest fountain, the Fountain of Wealth, made of silicon bronze and designed to bring fortune, according to the principles of feng shui. It represents a ring in the palm of a hand, with the fingers and thumb represented by five office blocks, towering above it. If you want to gain the blessings of the fountain, then circling it three times whilst touching the water is believed to be the best way, which visitors are permitted to do at certain times of the day. The mall itself is open from 9am to 10pm. The Singapore Flyer towers some 165metres above Marina Bay and is Asia’s largest Giant Observation Wheel. Enjoy unparalleled views over the breath-taking Marina Bay skyline – you can even see as far as Singapore’s neighbours, Malaysia and Indonesia. For a truly unique experience, try the four-course menu, which is the world’s first sky dining service to come complete with butler service. The XD Theatre at the Singapore Flyer Retail Terminal is home to fun rides such as Singapore’s first 6D motion ride and737 flight simulator. It is open from 8.30am–10.30pm. 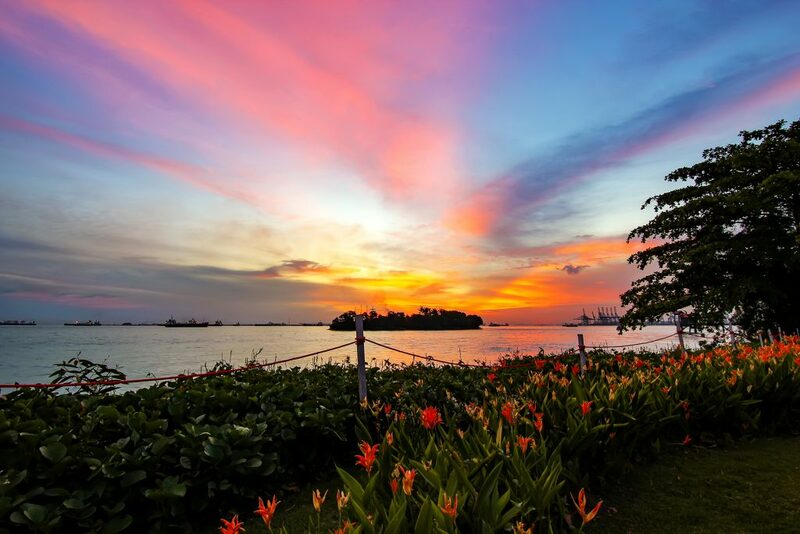 Sentosa may be a small island, but it is certainly packed full of fun things to do! It’s the place where people go to relax – whether that’s taking part in high-adrenaline activities, or enjoying some quiet time at the beach. This is the only Universal Studios in Southeast Asia, creating the exhilarating atmosphere for which the theme park is so well known. Spread over 50 acres, it is made up of seven film-themed zones, absolutely full of thrilling rides and activities. Adrenaline junkies will love the world’s tallest duelling roller coasters Battlestar Galactica: HUMAN vs. CYLON™, scary indoor coaster Revenge of the Mummy and TRANSFORMERS The Ride: The Ultimate 3D Battle. Children, will, of course, get to meet their favourite film characters and there’s also plenty of live entertainment including fireworks, and a wide choice of food outlets. It is open from 10pm–7pm (Sundays to Thursdays) and 10am – 10pm (Fridays and Saturdays). If you have ever wondered what life is like under the sea, then you should visit the fascinating S.E.A. Aquarium, located in Resorts World Sentosa. This enchantine marine world is made up of 45 million litres of water, where over 100,000 underwater animals from 800 species live. Meet the leopard shark, goliath grouper and manta rays up close. Shark Sea is home to a jaw-dropping 200 sharks, some of which are from endangered species. One of the most incredible immersive experiences is the cinema-sized Open Ocean habitat, which creates the feeling of being on the ocean floor, as sea creatures circle and weave around you. To experience something unique, choose the Ocean Dreams sleepover experience, where you can find out what it is like to sleep with the fishes. The Aquarium is open from 10am – 7pm daily. Sentosa’s beaches are legendary. As you might expect in Singapore, these are no ordinary beaches! Walk along the suspension bridge leading from Palawan Beach to get to the southernmost point of the continent of Asia, and the closest point to the Equator. Siloso Beach meanwhile, is home to hip bars and restaurants and comes to life as the sun sets. Whatever time of day you visit, you’re sure to find plenty to do, from kayaking to roller-blading and everything in-between. Truly an experience of the future, MOSH! Is Singapore’s first interactive digital family edutainment experience. Guests of all ages can create their own imaginary worlds as part of this creative, virtual reality experience. Conjure up fireworks or invent aquatic creatures – it’s all down to your imagination and skill – fun for all the family! It is open from 10am to 9pm daily. This vibrant area was once a racecourse, but is now one of Singapore’s most exciting, cosmopolitan districts. 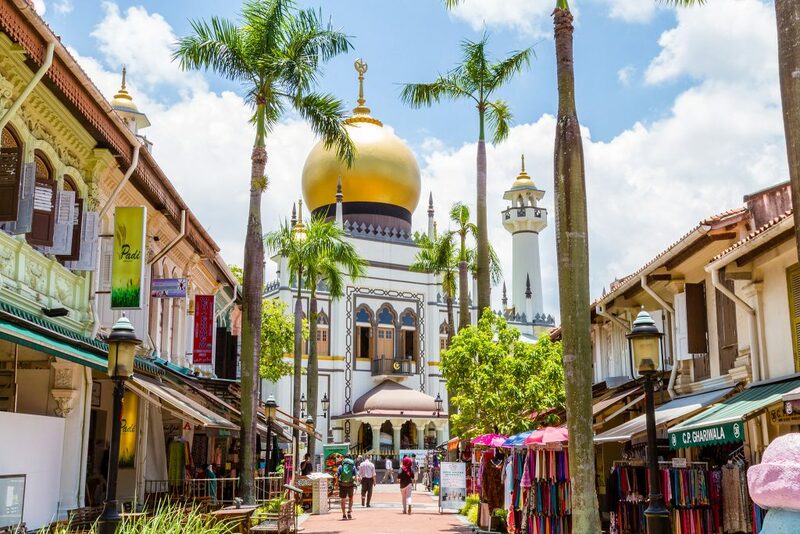 The main street of Serangoon Road and the neighbouring roads are a melting pot of Hindu and Chinese temples, churches and mosques, creating the rich blend of cultures and traditions which has become synonymous with Singapore. 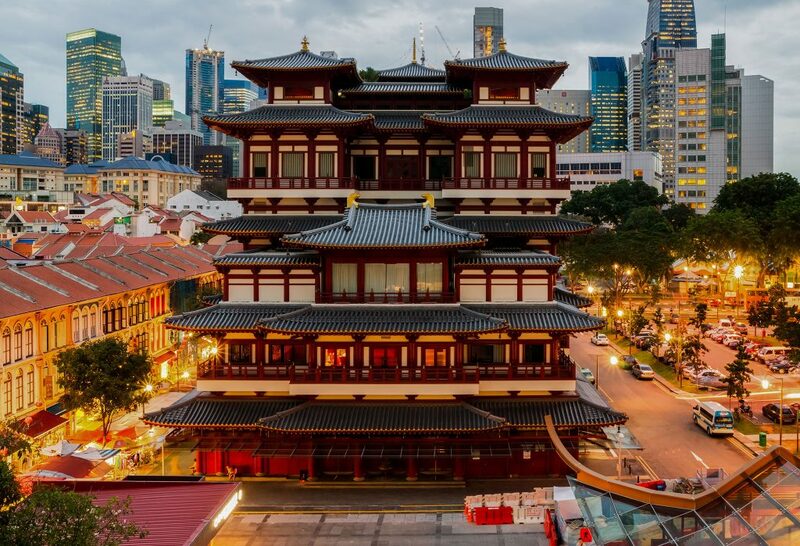 This vibrant Chinese villa is one of the most colourful buildings in Singapore. It boasts a host of unusual features such as the bamboo tiled roof, swinging doors and gilded name plate with its bold calligraphic inscription “Siew Song”. You definitely won’t have seen anywhere quite like this! It is open 24 hours per day. This 24-hour shopping experience is a unique Singaporean institution. The Mustafa Centre is a great place to shop for bargains with an astonishing array of goods on offer, from textiles to watches, delicious Indian fare to saris and electronics! The Sakya Muni Buddha Gaya Temple was built in 1927 by a Thai monk. It is home to a central Buddha statue, which is some 15 metres tall and is often referred to as the ‘Temple of 1,000 Lights’. It is open from 8am-4.45pm daily. Chinatown is one of Singapore’s most colourful districts with its distinctive architecture of Peranakan shop-houses. These days, they are home to an exhilarating mix of medicinal halls, traditional teahouses and family-run goldsmiths juxtaposed with boutiques and trendy bars. The markets and places of worship are well worth visiting and, of course, it is one of the most popular places in the city to eat. Whether you are looking for street food, or fine dining, Chinatown will have an establishment to suit! The highlight of the year is Chinese New Year, when the bustling streets are full of people enjoying the festivities, and the area is festooned with brightly coloured, traditional decorations. The Sri Mariamman Temple was built in 1827, which lends it the distinction of being Singapore’s oldest shrine. In 1973 this Hindu temple was deservedly declared a National Monument. Its ornate style and six-tier gopuram, or monumental tower, are typical of the Dravidian architectural style, of which it is one of the finest examples. 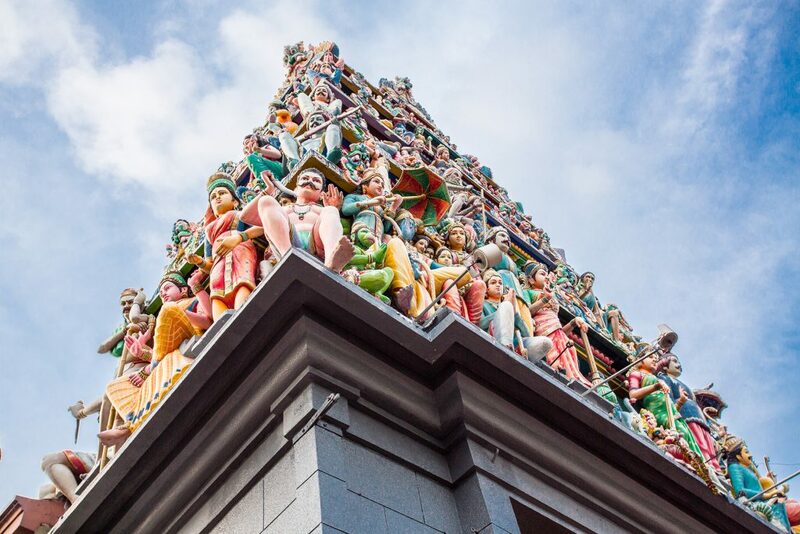 The gopuram is adorned with brightly coloured sculptures of the Hindu deities. Its interior is also awash with vivid colours in its beautiful paintings and decorated columns. The best time to visit is the week before the festival of Deepavali or Diwali, the Festival of Light, which takes place in October or November. The highlight of the Thimithi Festival is the fire-walking ceremony, when devotees walk barefoot over red-hot coals. It is open from 7am to 12 noon and 6pm – 9pm daily. This area, set around Pagoda street and the surrounding roads, provides the archetypal Chinatown experience with hundreds of bustling stalls, tiny eateries and popular restaurants. Soak up the sights and sounds and enjoy the ambience of this fascinating area. It is open from 10am – 10pm. The diverse area of Kampong Glam was once nothing but a fishing village, set at the mouth of the Rochor River. These days it is a happening quarter, home to Singapore’s Malay Community. It is known as the Arabic quarter, offering a vibrant blend of history and culture with trendy cafés and boutiques. It’s a great place to visit during the evenings of Ramadan, when the Muslim community fasts, to join in the celebrations when they break their fast, leading up to Hari Raya Aidilfitri. This mosque, also known as Masjid Sultan, was built in 1824 for Sultan Hussein Shah, the first sultan of Singapore. Its huge golden domes and spacious prayer hall are impressive. Unusually, its domes are decorated with glass bottle ends, which were donated by poorer members of the Muslim community when it was being built, so that everyone could play their part in its construction. It is open from 9am– 1pm and 2pm – 4pm daily. This neighbourhood has become one of Singapore’s trendiest, home to a hodgepodge of cafés, restaurants, bars, independent shops and boutiques, all mixed in together in a charming fashion. It offers a unique shopping experience, completely unlike that found in Singapore’s shopping malls. 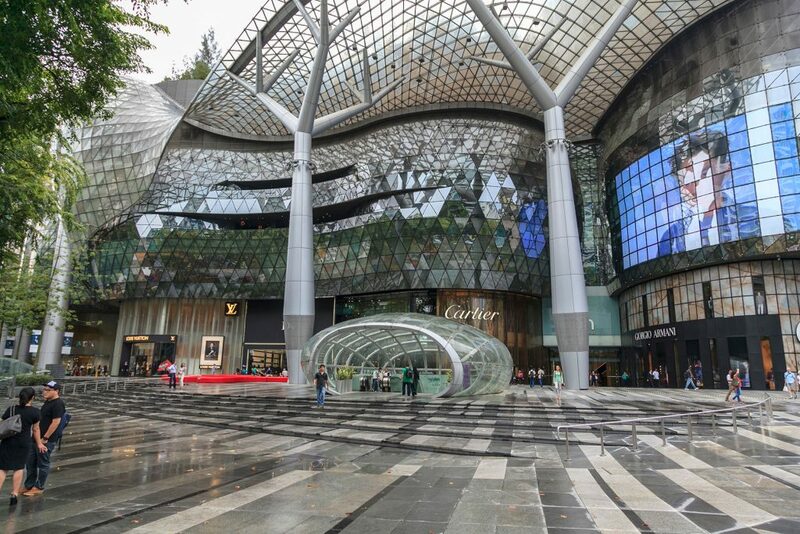 Orchard Road is Singapore’s best-known shopping district, boasting some 2.2 kms of shops, dining and entertainment options, which will allow you to shop till you drop! There are plenty of hotels here if you want to be in the heart of it all. It is a great place to pick up some souvenirs of your stay in Singapore with shopping opportunities to suit all budgets. Orchard Road may be synonymous with shopping in Singapore, but there is a surprising amount of other things going on here too. For panoramic views try Ion Sky – you can even take a step back in time, with its multimedia feature allowing you to see Orchard Road as it once was. Cinemas, arcades, bowling alleys, a flight simulator and a climbing wall are all available for light relief! Visit Istana Park, close to the office of the President of Singapore or take a walk along Emerald Hill, with its picturesque old buildings, once home to wealthy Peranakans. The Night Safari is a unique experience – the first safari park in the world dedicated to nocturnal animals. It’s such a great idea that you will wonder why no one has thought of it before! This astonishing experience, located next to Singapore Zoo, allows you to come face to face with 2500 animals of over 130 different species. The enclosures simulate the natural habitat of the animals, many of which are indigenous to the region. Some are allowed to roam freely, whilst the more ferocious are kept safely behind barriers. You may be lucky enough to see the Asian elephant, leopard, Malayan tiger and Malayan tapir. You can choose whether to follow one of the four walking trails, or to hop on the tram, which takes you for a 35-minute ride around the park, accompanied by a live commentary. Other entertainment includes animal shows, blowpipe demonstrations, fire-eating displays and tribal dances. It is open from 7.15pm – 12am. As you may have come to expect by now, in Singapore an airport is not simply an airport! This is Changi Airport, which has won awards for being the best in the world. It’s rare to be somewhere where even the airport is a tourist attraction in its own right! Changi Airport boasts some of the city’s best duty-free outlets and a diverse range of other shops, including a well-stocked supermarket. No one will go hungry with a wide choice of delicious local and tasty international cuisine. Changi Airport gives a whole new meaning to relaxation – it’s not just the sumptuous spa or the transit hotel, it also has its own pool and terminals displaying art installations. T1 is home to Kinetic Rain, the largest kinetic sculpture in the world, whilst T3 boasts a 12 metre high slide. Whilst you are waiting for your flight, you can take in a free film or entertain the children at the innovative woodblock rubbing stations. Changi Airport is extremely unusual in that space has been set aside for nature and greenery, even within the terminals themselves. T2 boasts a Sunflower Garden and an Orchid Garden and T1 is home to the Cactus Garden and tropical butterfly habitat with its 6-metre grotto-waterfall. You may never look at airports in the same way again!